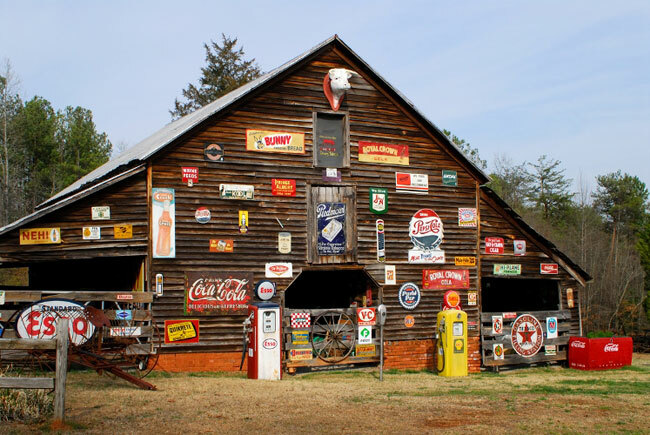 This colorful barn is located on Red Hill Road near Pickens. 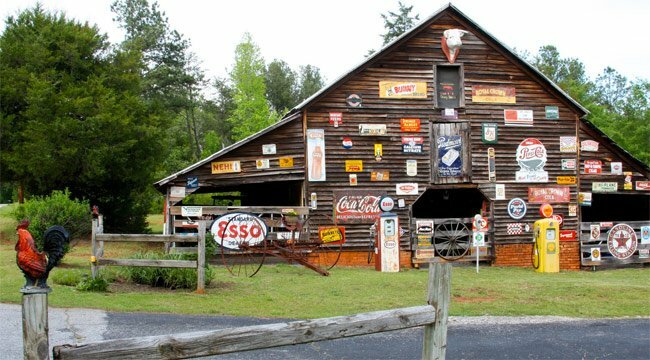 It is often referred to as the “sign barn” because of the large collection of old advertisements and signs posted on its exterior. 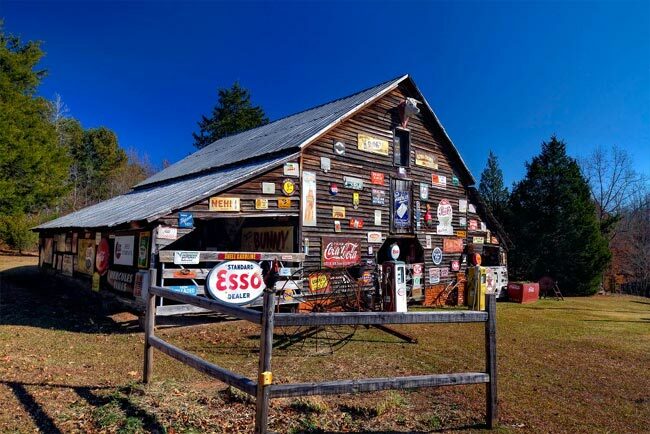 Owned by Wayne Madden, the barn is a popular subject of photography and an attraction to motorists who traverse country roads. Seen this one many times! Owner is Wayne Madden. Stop by and see him – will talk you to death. Many many people have made pictures. Also was printed in Sandlapper magazine. Hi! While we don’t know who the owner is, we have added a map above along with a street to help you find it. Have fun! Would love to this see in person. What is the exact location, and who is the owner? I would love to see that myself!